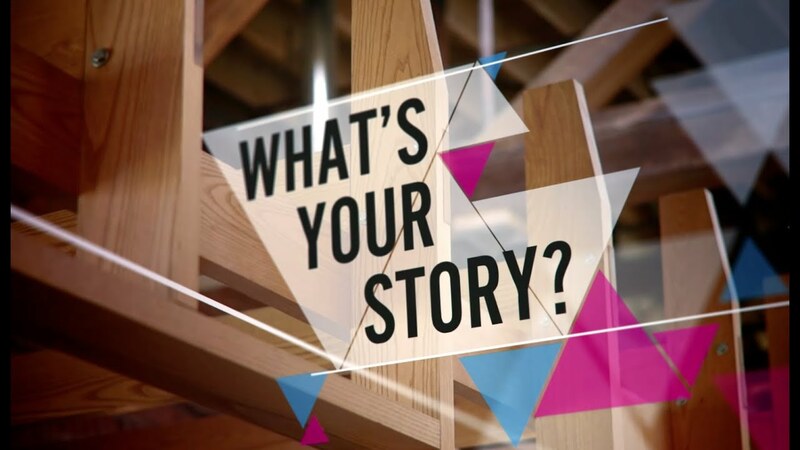 The resources on this page help communicate the vision, goals, key ideas, work plans, etc. of the seven state collaborative. There are also valuable outreach and needs assessment resources available. The section titled, CSHSC Participating States & Partners contains resources submitted from the seven participating states. ESSA Redesign Overview & First Steps is a PowerPoint presentation outlining the goals and first steps of the Cross-State High School Collaborative redesign efforts. CSHSC ESSA Redesign Scope & Sequence and Workplan 2017-18 is currently available for download in draft form. Needs Assessments for Low-Performing High Schools this PowerPoint provides guidance for using needs assessments to support high school redesign, including: logic of school improvement, how school redesign differs from school improvement, how ESSA needs assessments need to be different for low-performing high schools, what is the goal of needs assessments in supporting high school redesign, and many more! There are additional resources on the Needs Assessment page. These posters help illustrate CSHSC’s four evidence-based lever mindsets. 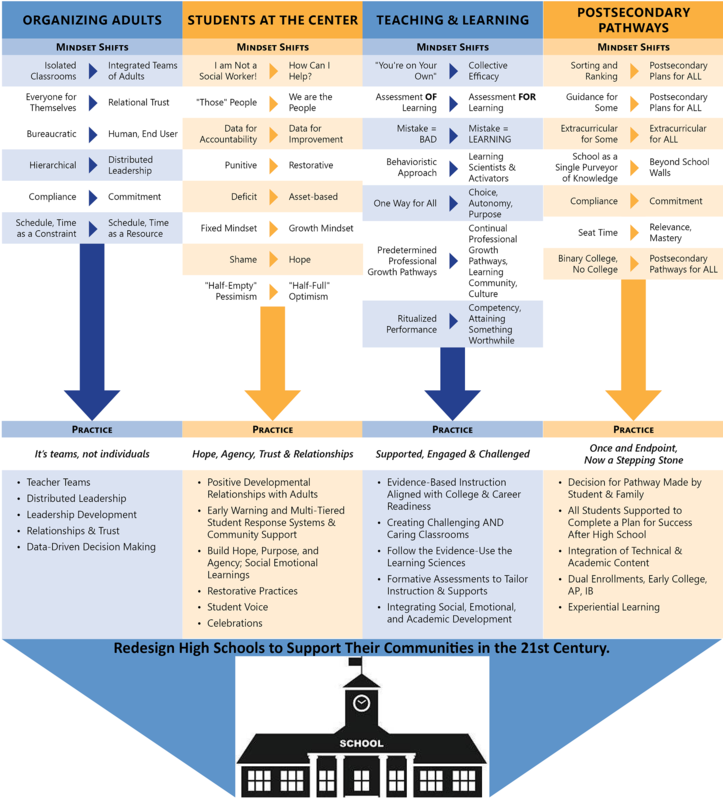 These mindshifts are the foundation of CSHSC’s high school redesign philosophy. You’re welcome to download, reproduce and freely display these images across multiple formats and share with your team. To download, click on the image then right-click your mouse to reveal the “Save Image As” function. The resources in the slider below are valuable tools and aides submitted by CSHSC’s participating states. 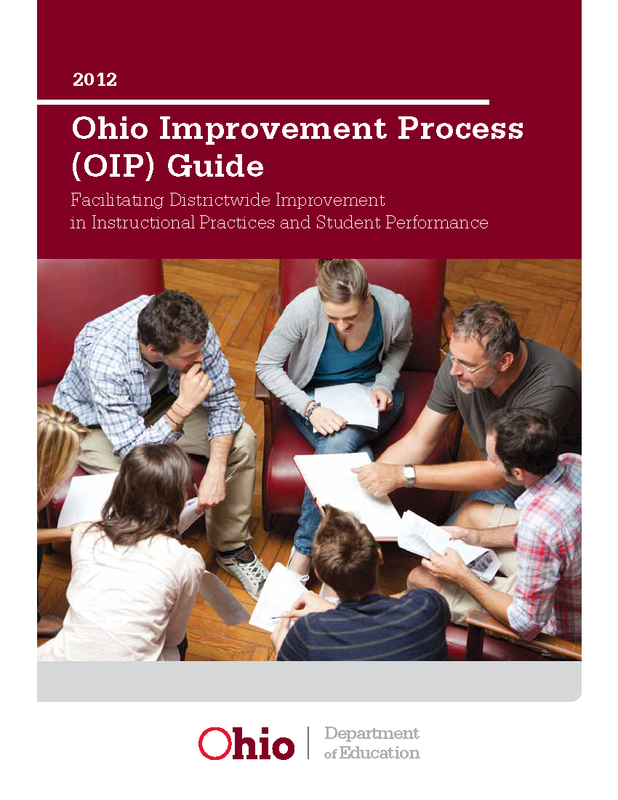 Ohio Improvement Process (OIP) Guide facilitating district-wide improvements in instructional practices and student performance produced by the Ohio Department of Education. School Redesign LEA Guidance is a 15-page report prepared by Louisiana Believes (LA Department of Education) detailing the Louisiana’s redesign process. School Redesign Scoring Rubric is a rubric developed by Louisiana Believes (LA Department of Education). Part 1 addresses the required plan elements of needs assessment and budget. Part 2 Addresses the school redesign plan through core academics, special populations, talent, and LEA systems. How to Succeed in School Turnaround: Strategies That Characterize Successful Turnaround Schools in Massachusetts in 2013, the Massachusetts Department of Elementary and Secondary Education (ESE) collaborated with American Institutes for Research (AIR) to measure the impact of School Redesign Grants (SRGs) on student academic performance. 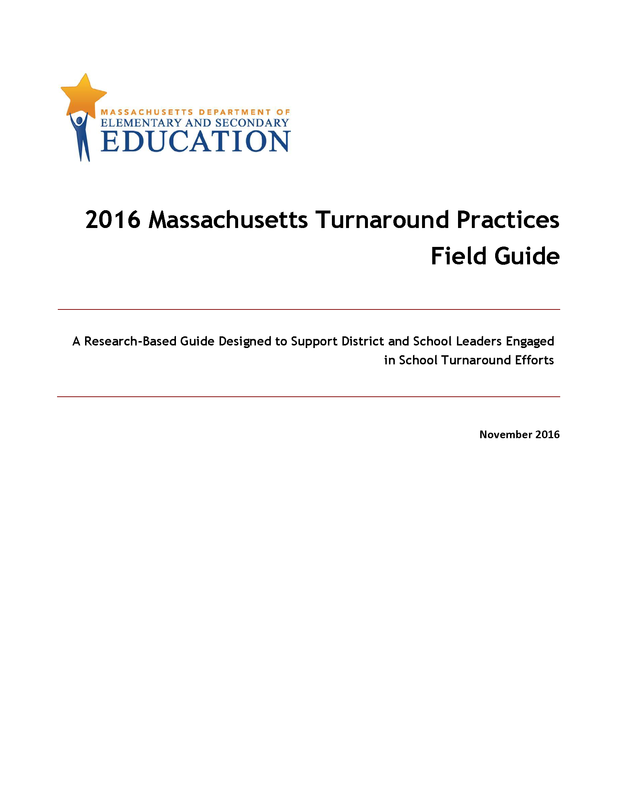 2016 Massachusetts Turnaround Practices Field Guide is a research-based guide designed to support district and school leaders engaged in school turnaround efforts. 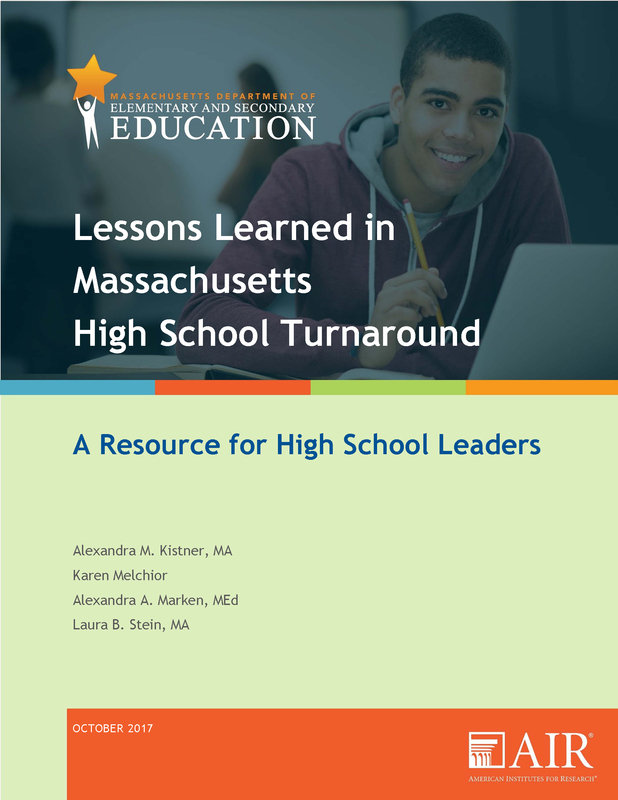 This guide was developed by American Institutes for Research and the Institute for Strategic Leadership and Learning for the Massachusetts Department of Elementary and Secondary Education. 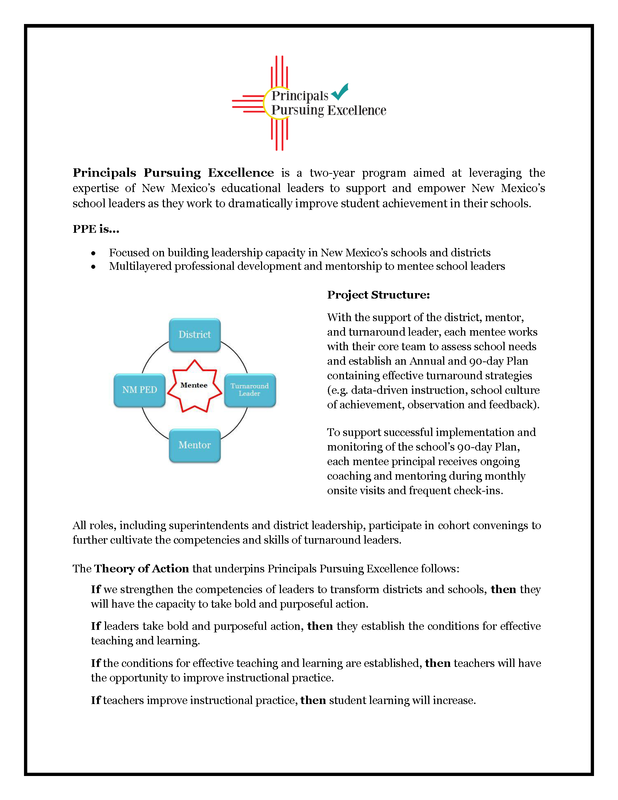 Principals Pursuing Excellence is a two-year program aimed at leveraging the expertise of New Mexico’s educational leaders to support and empower New Mexico’s school leaders as they work to dramatically improve student achievement in their schools. 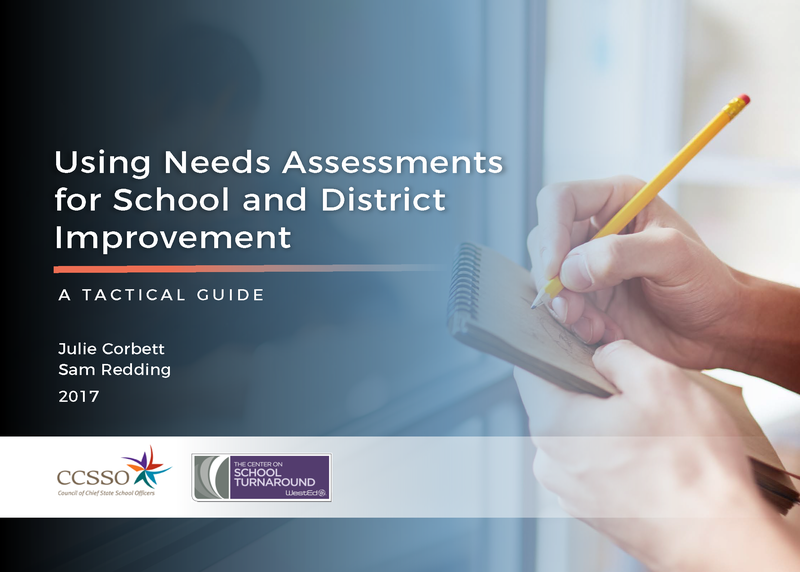 Using Needs Assessments to Drive School and District Improvement (June 2017), is a tactical guide produced by CCSSO and the Center on School Turnaround describing the core components for developing and administering needs assessments for improvement. The tactical guide and worksheets that will aid in designing and developing needs assessments are available below. Understanding and Maximizing Federally Required Needs Assessments (June 2017), a document aimed to assist states in designing and promoting a comprehensive needs assessment process. It includes ideas for consolidating needs assessment activities with the goal of allocating resources more effectively and equitably. 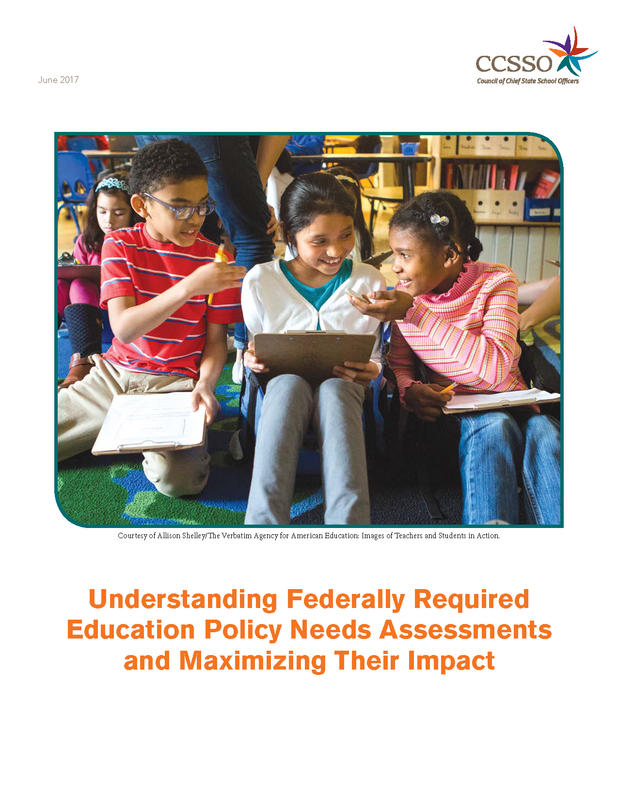 Additionally, this resource includes a summary of the federal requirements for needs assessments highlighting provisions where using a needs assessment is implicit. The State of Louisiana is kicking off a redesign cohort of 31 high schools in summer 2018. 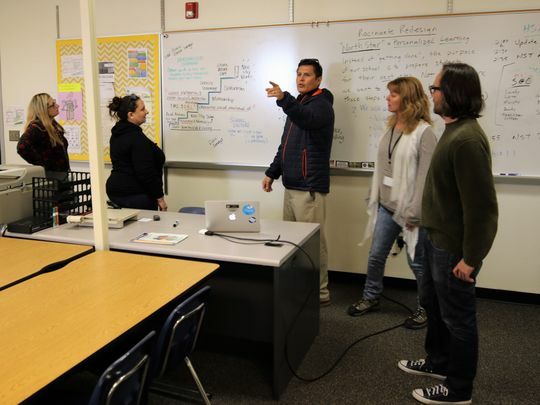 The cohort is made up of traditional high schools, charter high schools and alternative high schools. This was a competitive application process and schools had to apply; the State then chose the most promising applicants. Visit the Louisiana Believes for more information on their mission to improving struggling schools. 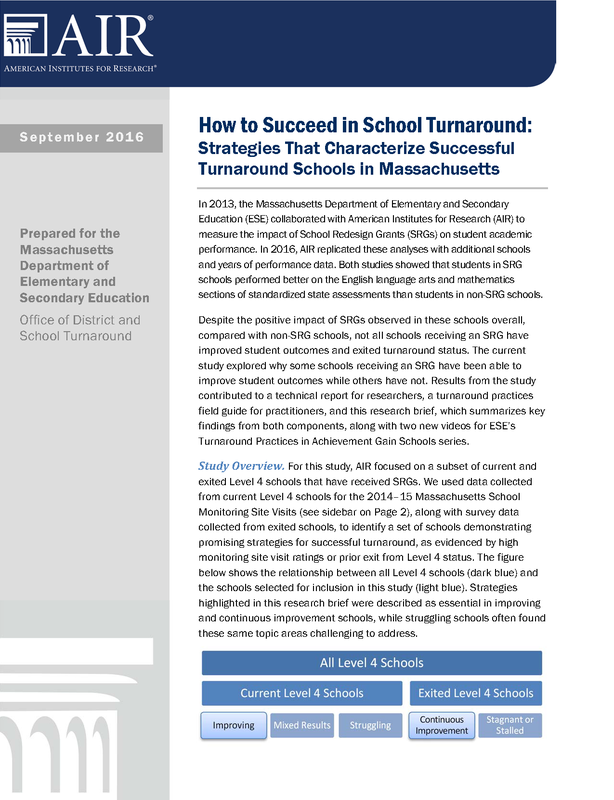 The documents below are the materials participant schools received, as well as state planning documents and slides from the initial kick-off webinar to introduce the cohort. Louisiana Department of Education High School Redesign Cohort is a 20-slide MS PowerPoint presentation of the goals, benefits and expectations of the cohort. High School Redesign Data Collection Form is an MS Excel spreadsheet to collect data on graduates. Email Notification Template is an MS Word document that can be used to welcome and outlining participation. High School Student Profiles is a six-page form to capture the data from the freshman interviews. Teachers are Designers is a five-page article the examines addressing problems of practice in education.